Launched at the 2018 Dinghy Show, the Superwarm V is ideal for sailors wanting warmth and flexibility for all-purpose sailing all at a lower price point. Attractively styled, the V range comprises a Steamer, Skiff Suit and Top in the same 3D design as the Superwarm® X. As with the X range, Zhiktex® II reinforced panels protect the seat and knee from abrasion. The Superwarm V steamer uses a 3-2mm neoprene providing exceptional warmth, and the targeted stretch panelling in the upper body aids comfort and flexibility. 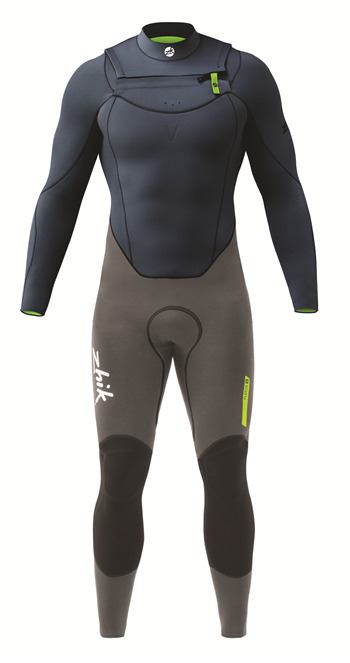 The clean design of the Superwarm V offers dinghy sailors of all levels the advantages Zhik’s combination of flexibility and warmth from lightweight fabrics, and has the added advantage that they can use it for other activities such as SUP, windsurfing and kayaking.